This Halloween let your alter ego free! Jump into this arachnid-inspired jumpsuit to demonstrate your super strength and agility and become the protector of the innocent--just like Peter Parker! 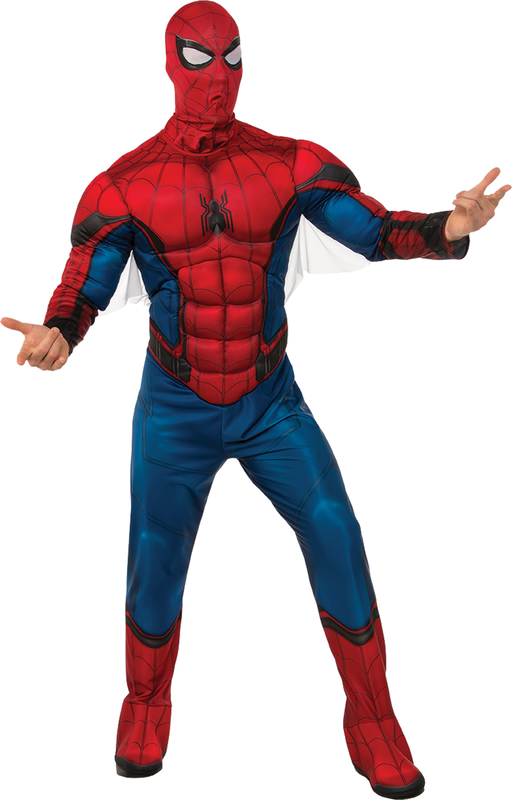 This adult Spiderman costume features a padded blue and red jumpsuit covered in printed spider web accents, with grey spider webbing below the arms and the spider emblem on the front and back. The red mask and boot tops are also included for a complete superhero costume. Officially licensed Marvel product. Adult Standard fits sizes 42-44. Copyright Halloween Asylum. All Rights Reserved.